Colombo, Nov 13 (IANS) Sri Lanka's Supreme Court on Tuesday stayed until December 7 the dissolution of Parliament by the President, granting interim relief to political parties that had urged the apex court to junk Maithripala Sirisena's decision. A three judge bench headed by Chief Justice Nalin Perera heard petitions filed by several political parties on Monday and Tuesday challenging Sirisena's dissolution of Parliament. Sirisena then immediately formed a caretaker government, a move which Wickremesinghe's United National Party (UNP) called illegal. The President's sudden move to dissolve Parliament came one and a half years ahead of the scheduled parliamentary polls. 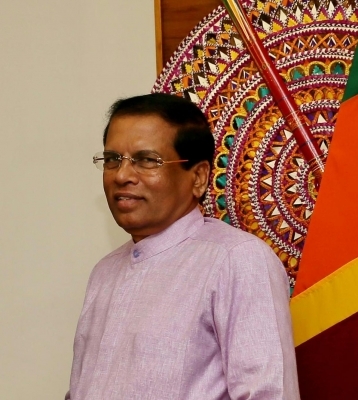 The parties which filed petitions challenging the President's move included the UNP, the main opposition Tamil National Alliance, the Janatha Vimukthi Peramuna (JVP), the Tamil Progressive Alliance and the All Ceylon Makkal Congress. After the Supreme Court's order, the JVP parliamentarians met Speaker Karu Jayasuriya and urged him to convene Parliament as soon as possible. Wickremesinghe told his parliamentarians that he was ready to show his parliamentary majority at any time. He also told them to "get ready" to attend Parliament on Wednesday.